The Reel Rhino: Quest for 1000 - Thank You AMC Theaters! Greetings movie lovers! Sorry for my absence, but I have been quite jammed with my real job and some other non-movie business. I am shooting for two mid-week posts…one reviewing X-Men: First Class, Super 8, and Midnight in Paris; and one revealing the final plans for the 1000th movie. For now, I am at a loss for words. I cannot say enough great things about my friends at AMC Barrywoods 24. For starters, let me say that this was supposed to be a HUGE weekend for the Reel Rhino. This was going to be the hallowed 1000th movie weekend. I spent the better part of the week in Orlando, FL attending the Hexagon 2011 conference as a part of the Leica Geosystems User Group. I had planned on taking in two movies while in Florida, but like Congressman Norris in The Adjustment Bureau, it wasn’t in the plan. In preparation for the big 1-0-0-0, the AMC crew prepared a gift for me. Let me say how humbled I am for such an effort on their part. While I am grateful to all who had a hand in the gift, AMC Barrywoods 24 GM Ponce and all of his staff; I am especially appreciative of Heather’s part. She shared with me her secret of wrapping gifts and I think you will agree, for the movie lover, it was perfect! 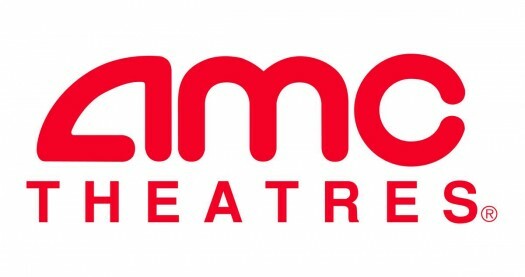 We didn’t have an AMC theater in my hometown of Erie, PA. It wasn’t until 1994, my freshman year at The University of Maryland, that I went to an AMC at the Academy 6 at the Greenbelt Mall in Greenbelt, MD, just outside of College Park. That first AMC film was Forrest Gump, on August 20th, 1994, at 10:00pm, at the low student rate of just $3.75. I was nearing the end of my first preseason football camp with the Terps, and I needed some comfort. You know, Momma always said life was like a box of chocolates…Forest Gump has remained one of my favorites and I did in fact see it three times during 1994. From there, I toggled between the Academy 8 and the Academy 6, both at the Greenbelt Mall, for most of my days at Maryland. Regrettably for the AMC family, I moved next door to a Sony Theater during 1999 and 2000, which was my movie home for that span. That run of movie-going had me see every film released that summer, except Thomas the Tank Engine and Pokemon 2000. There is a bit of irony in the choice of what I skipped that summer as I spent this most recent Sunday visiting a real live Thomas the Tank Engine with my wife and son tomorrow. At the end of 2000, I moved to Kansas City, MO and the AMC Barrywoods 24 has been my home screen ever since. My first film in Kansas City was yet another Tom Hanks film, Castaway, on December 29th, 2000, at 10:45pm, at the low cost of $5.00, student rate. Chuck Noland...”no land,” cute, right…was no Forest Gump, but damn that Tom Hanks can act! The adventure has continued and will into the future. The first stage of my moviegoing is nearly complete. This Saturday, June 18th, 2011, I will be seeing my 1000th movie. I will be posting again on the event, but the short story is that I am shooting for a 7:00pm-ish show of Green Lantern, probably the full monty 3-D version. This is not a commercial for AMC Theaters. From those 999 movies, I've been to a slew of other theaters, some good, some great, some not so much. But I can’t deny the hospitality that AMC Theaters has always showed me. From the gift for my filmgoing achievement to always greeting me with open arms for every show that I attend at my home theater of Barrywoods, they have exemplified excellence in providing a great theater experience. In their honor and as a show of thanks for their kindness, I have tallied my moviegoing life as it has interacted with AMC Theaters. Oh, if you’re wondering how I know all this…I have every stub from most every film in my moviegoing life. You call me crazy, I call it reverence for a beloved form of art. AMC Union Station, Washington, D.C.
729 of my 999 movies to date have been with AMC. While I think Judy Moody and the Not Bummer Summer will have some pull with the youngins, the 5 I picked are all playing on 3000 or more screens. Judy Moody is playing on just under, but I still don’t see it generating enough momentum. Cars 2 will hold its own, but Ms. Moody, probably not. Until next time….1000, I’m a knockin’! Remember the Forrest Gump book? Ack. I saw Super 8 on Saturday, I was super excited. But it was total Super Hate. Did you see it yet? We'll discuss. I don't want to put up any spoilers. While I loved your critic-esque "Super Hate" wordplay, I have to say I disagree. I loved it...I smell a good phone conversation in our future! PS...Spoilers....spoilers...BRUCE WILLIS WAS DEAD?!? How could you! I guess he told us he saw dead people...we should have known! Aimless rant complete.